After months of denying obvious realities of the quagmire plaguing us as a nation, I was jostled back to my senses at a Stakeholders meeting organized by Solar Challenge Nigeria, the organizers of 1st Nigeria Solar Car Challenge in an attempt to pull resources together in achieving the laudable initiative . The solar powered cars that would be used in the challenge are to be built by tertiary institutions in Nigeria. According to the Organizers, the challenge is aimed at reviving research in science and technology and to place Nigeria in a better pedestal amongst the committees of nation. As at the last count, from the arrays of Tertiary institutions both private and public in the country, just 8 institutions have registered for the competition; Obafemi Awolowo University, Ile-Ife; Kings Polytechnic, Ubiaja(hosts); National Centre for Energy Research and Development, University of Nigeria – Nsukka; Adamawa State University, Federal University Oye, Ekiti; Ambrose Alli Universuty, Ekpoma, University of Nsukka, National Centre for Energy Research Centre – Sokoto and interestingly, a Secondary school, Word of Faith College, Benin City, in Edo State also showed interest via a concerned student named Famous who wished to be part of the initiative. One salient point I would like to draw from the above is that technological development is not restrictive. An average secondary school student needs a well prepared mind towards innovation, home grown technology and development as against the “cut and paste” syndrome prevalent amongst our engineers. The system has so much limited the capabilities of the youths that we look abroad for everything that can be made at home. Hardly do our secondary school engage in practicals again. Gone are the days of Introduction to Technology(IntroTech), Agricultural Settlements( where each student plough, tend and harvest his/her piece of land), Home Economics amongst other. We lost virtually everything to commercialization of education! If secondary schools where a case in point, our tertiary institutions are beyond redemption; laboratories are empty, workshops are full of cobwebs and obsolete equipment, engineering garages are full of abandoned projects and students’ research works in the social sciences and humanities accumulate dust in the libraries. None of the Student’s project ever get tested or given practicality once submitted, after all ours is a certificate country, the Lecturers’ burden is to give project topics, award marks and not to confirm originality or veracity of such projects. A good number of such projects are even plagiarised, but who really cares? The Universities are under funded and lecturers earnings are tied to the apron of an unwilling government. The system stiffs every sense of belonging and cripple every means to engage in constructive and productive research. For close to Three months now, our universities have unceremoniously been under lock and key because the Nigeria’s government said she is too “poor” to fund the rejuvenation of our universities from abyss of decayed and quack productivity. But we can travel everywhere and even offer aid to “less” developed economies as if we are ourselves developed. Ours is a government which fails to smell its own filth. Every citizen except the government knows that Science and technology is a basic strategic tool for development. There is no gain saying the country has to explore high technological investment as a tool for growing the Nigerian economy, except one wants to deceive oneself. Recently at the presentation of a book by former Minister of Science and Technology, Prof. Turner Isoun, “Why Run Before Learning To Walk – Reflections own high technology as a strategic tool for development in Nigeria”, in Abuja, Prof. Nimi Briggs, said, “Nigeria must acquire versatile technologies that will deliver multiple and diverse services that are owned and implemented by Nigerians. Key among these are space, information and communication technology, biotechnology, energy technology and climate change adaptation technologies”. My one million worth question to the Professor’s position is, can versatile technologies be delivered when both the private and public sector finds it extremely difficult to invest in the painstaking aspect of Science and Technological research? The drive for a competitive solar car research amongst tertiary institutions by Solar Challenge Nigeria is a case in point. Despite laxity in governmental and corporate supports, the resilience of the organizers of 1st Nigeria Solar Car Challenge, needs to be commended. Against all odds, the organizers have sticked to their guns of championing an initiative that would trigger green approach to transportation, sustainable energy, protect the environment and enhance viable employment. At independence, Nigeria could be likened to a precocious child – skilled at birth. We were the pride – Africa Giant, but today, those who look unto us, have moved ahead. While other countries were switching to efficient cars that have eliminated petroleum products, importing of refined crude products under obnoxious subsidy that benefits the few remains our lot. And when we decided to stand against such crookedness, a Subsidy Re-investment Programme(SURE-P) was foisted upon us, one would have assume such fund would be channeled to dig out the root of our insufficiency, invest in science and technology, obliterate unemployment and secure the present to sustain the future. But what do we have – a charade! Against available government statistics, “in the second quarter of 2013, Nigeria’s GDP increased 6.18 percent”, unemployment and poverty still ravage us as a nation. 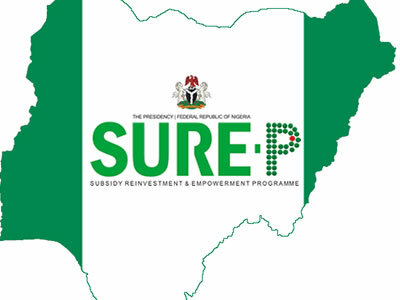 According to the Director General of National Office for Technology Acquisition and Promotion (NOTAP), Dr Umar Bindir,” Poverty is still prevalent in the country because many Nigerians lack the abilities to create wealth from intellectual property”. It is this “making wealth from intellectual property”, that Late African Novelist, Chinua Achebe was trying to explain in his book, “There Was A Country: A Personal History of Biafra,” by illustrating the ingenuity of the Ibos that was lost to the civil war, and sadly enough, we are yet to recover from that episode. But rather than grasp the thought of the sage, sentiments was attached to understanding. The so-called South-West “progressives” just blew everything out of proportion. There was a time the world was looking at Nigeria, what happens daily in the famous “Aba Market”, can make Nigeria, Africa’s industrial and technology hub. All that is needed is technological and policy support that would bring viability to what they do. At the last President Media Chat, President Goodluck Jonathan made tacit comment about solar energy powering our street lights, but renewable energy can do more. What matters are leadership, research development, tax incentives and public policy at the federal and state levels. Renewable energy(Sun, wind and biofuel) is too readily available not to add significant impact in our near comatose economy. The essence is to preaching a mantra that would reflect in the life of the people? In a report by American Solar Energy Society (ASES) in conjunction with Management Information Services, Inc (MISI), an internationally recognized economic research firm based in Washington D.C., they forecasted that 37 million jobs and $4,294 billion annual revenue would be generated from renewable energy and energy efficiency by 2030 in the United States alone. The forecast provides a sector-by-sector analysis of where the opportunities are in the rapidly changing renewable energy and energy efficiency industries. It subdivided the sector areas to include solar thermal, solar photovoltaics, biofuels, and fuel cells (in terms of revenue growth). And job areas in the following aspects; electricians, mechanical engineers, welders, metal workers, construction managers, accountants, analysts, environmental scientists, and chemists. Considering the Nigeria environment that is deficient, miserable and groping for a sustainable energy life, wider job range can be envisioned. All that is needed is a government that believes in it self and is determined to lead in the direction. There is an urgent need for Government and private entities coalesce to save the face of our science. We all need to become proselytizers for science and technology, citizens must not only pay lip service but ingrain the gospel, finance the ministry and make sure it grows into making Nigeria an industrialized nation. Science and Technology Innovation could generate millions of jobs and proffer a solution to a myriad of national problems, we just have to look more inward and give financial supports to what adds collective value against individual goals. For the umpteenth time, I must say am not at gross with the support for creative art( i mean dancing and singing), which has had unparalled sponsorship from the telecommunication sector in recent time. Neither am I against talent hunts, for the companies involved, the end justifies the means. What they are concerned about is the media mileage and in a nation where T.V and Social Media had taken productive endeavours from the youths coupled with fallacious syndrome of mega millionaire music stars, one could not expect less. Our youths have been derailed into a get riches and famous syndrome. Three things dominate an average Nigerian’s thought of wealth creation; winner a singing/dancing reality T.V game show, playing football( with more concentration on Europe) and playing lotto (Baba Ijebu, NairaBet,Goals.Com amongst others). We are just one betting nation but would that sustain us? To the Twitter Activist, Social Bloggers, development Crusaders, uhuru stands far ahead. If we need drum, let us campaign for more sustainable involvement from the government and private corporations in science and technology. The amount needed to revive Science, Technology and Innovation, is small to what is currently been expended on reality shows. We can’t criticize what we get from abroad when we don’t have alternatives, and the only way to get alternatives, is to re-awake our own intellectual capabilities. I believe in science and technology to get us started, I believe in what Solar Challenge Nigeria is doing, do you believe?